I know it's August and we've finally got summer back in the north of England, but I can't help having a little browse at the new coats coming in for autumn/winter - after all, coats essentially become a full outfit for at least four months of the year so they make up a big component of your wardrobe. 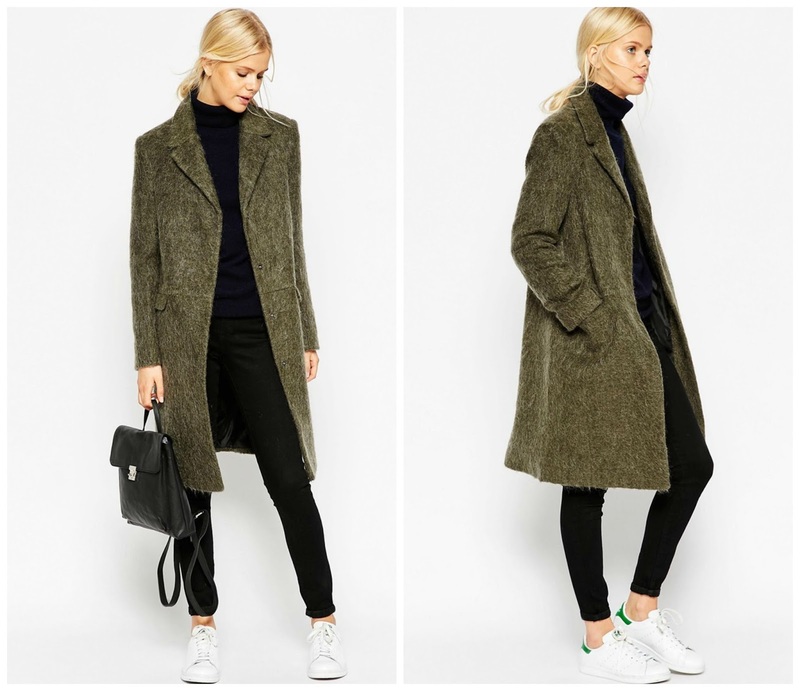 This ASOS coat has stuck out to me this week; it's classic and simple with masculine vibes, while the 'hairy wool' texture and dark green colour give it a bit of an edge. Plus, at £75 it's a damn good price for a gorgeous coat.